I was reading the Kansas City Star about this woman who has a lot of experience entertaining. She had a lot of great tips and advice for those who are afraid to entertain. She casually mentions that one should serve Negroni as a cocktail as it was the happening cocktail these days. So I decided to look it up and see what it was all about. 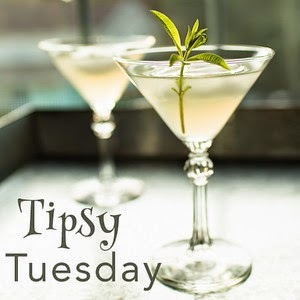 It is a simple drink, with only three ingredients, two that you will probably have on hand if you stock a bar. The third ingredient, Campari, cannot be substituted. 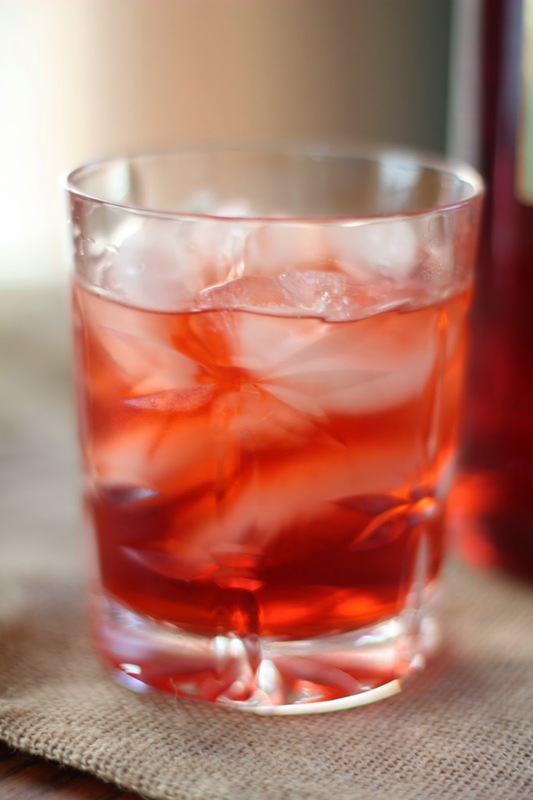 Campari is a liqueur that is an infusion of herbs and fruit, dark red color, and bitter in an spicy yet sweet way. The recipe for it is a closely guarded secret. The Campari website says it contains 80 ingredients! It is an Italian product, and even sold in individual bottles as Campari Soda. I had no trouble locating a bottle of it in my neighborhood liquor store. It came in a regular bottle but with a lovely art deco label. The classic Negroni has 1 part gin, 1 part sweet vermouth, and 1 part Campari and an orange peel garnish. Fill a glass with ice, add in the ingredients one at a time and give it a stir. Add in your garnish. Take a sip. Make a face, because Campari is so different, bitter, but with an aftertaste that makes you think of licorice, but not licorice. I have heard it described as the "IPA of liqueurs." 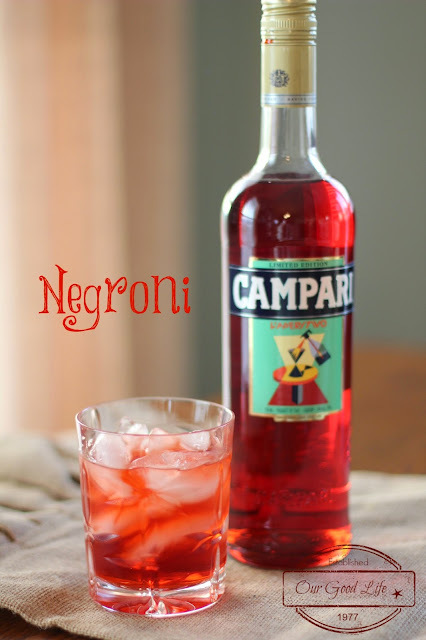 I didn't hate it, and I think I will eventually like the bitter taste of Campari. Using good gin helps, of course!